Sunday was a major night for Aziz Ansari. The comedian took home the Emmy for Best Writing for a Comedy Series for Master of None. He even brought his parents — or should I say co-stars? — as his guests at the ceremony. While it was undeniably a win for the Netflix star, he couldn't neglect to mention someone who wasn't there. After the award show, Ansari paid tribute to Harris Wittels on Instagram. It was a bittersweet way to remember his friend, who played a major behind-the-scenes role in the series. Ansari posted not one, but two photos related to Wittels. In the first, he and Master of None 's co-creator, Alan Yang, posed with Wittels' mother, Maureen. It's heartwarming that his mom was in attendance. They've all got big grins on their faces. Ansari captioned the photo, "With Maureen Wittels! Miss you Harris!!!!!!!!!!!!!!!!" Then, he shared a black-and-white image of his late friend and wrote, "My favorite comedy writer. Miss you Harris." In February 2015, Wittels tragically died from a drug overdose at the age of 30. Before writing for Ansari and Yang's Master of None, Wittels worked with them both on the beloved series Parks and Rec. Wittels was an executive producer, while Yang was a writer and story editor. 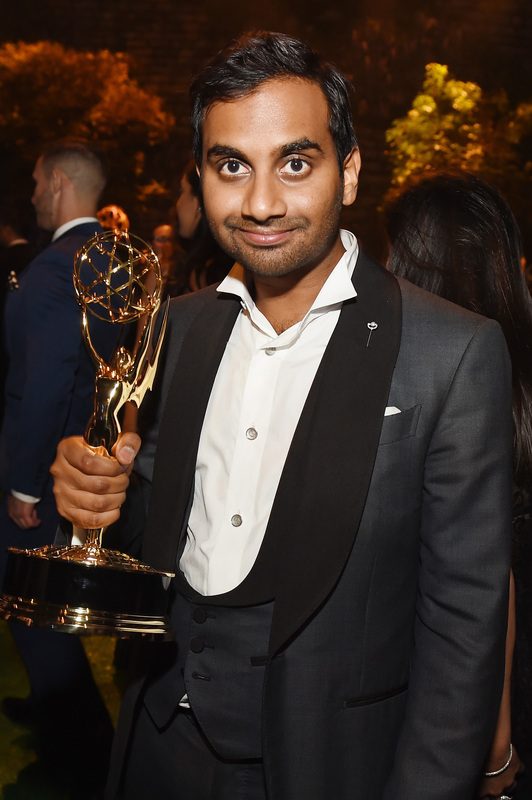 Ansari, of course, starred on the show as Tom Haverford. Those three were a dream team. There are so few people that you meet in life that give you that feeling that you’ve found a real unique, original person. Harris Wittels was one of those and we lost him yesterday. He was 30 years old. I’ve been devastated. If you've got a few minutes to spare, Ansari's entire essay, which is long and heartbreaking, is worth a read. It really delves into his character and the special person Wittels was. Although his life was cut short, Wittels' memory continues to live on — especially through his pals like Ansari and Yang. He totally deserved to get acknowledged on Sunday night, so it's great he was still part of the Emmys win in some capacity.